Would you like ukulele workshops for complete beginners brought to your community centre, organisations, neighbourhood houses, events, festivals, schools or scout groups? Led by Phillip Chalker. Participants must provide own Ukulele and tuner. Swing along to the sounds of beautiful Ukulele music and easy to play popular songs. Come and have a go and ride the mighty Uke wave that’s sweeping the world! Workshops are open to people of all abilities. Available in Traralgon East and Gippsland. If you are in the Traralgon, Morwell, Moe, or other surrounding areas of Traralgon and require Ukulele tuition – look no further! Latrobe Music is now offering one-on-one ukulele lessons in the Gippsland region. All lessons are for complete beginners and open to all abilities. Attendees must provide their own ukulele and tuner. All lessons will last for 1 hour, during the week and weekend from 10am till 6pm and are run from my own home. COST: $15 per person for one hour. The types of ukuleles taught are Soprano, Concert, Tenor, and Baritone. Want to learn how to play the Ukulele from the comfort of your own home anywhere around the world?? All lessons are taught by Phillip Chalker using Face Time or Skype on a Mac computer or iPhone. Learn in your own time at your own pace. Open to all abilities. These lessons are also suitable for people who are blind or vision impaired. Are you looking for a solo performer for any of your events or activities? Well look no more. I am a performing singer and musician who plays guitar and ukulele, with a great sense of humour. I can be extremely interactive, and motivate your audience to participate! Over the years, I have traveled extensively performing for a variety of organisations within Victoria. I’m also a songwriter, Beginners Ukulele Teacher and a community music worker. I’m available to perform at events for any organisation. I specialise in parties, community events, functions, festivals, day programs, schools, shopping centres, pubs, clubs, conferences and aged care facilities. Phillip has no blog post yet. Start a chat now if you have any blog post topic for Phillip. I would like my message to be forwarded to other local tutors. How would you rate Phillip? I started working one day a week in Traralgon… an early morning shift and an afternoon shift. I had most of the day free on a town I didn’t really know. I went looking for something to learn/do inbeteeen shifts. Personally I think I hit the jack pot! I ended up taking lessons with Phillip for two months. In this time Phillip taught me countless chords (love how simple they are on the uke) and many songs. I’d like to thank Phillip for adapting his teaching style to how I learn. Not only did Phillip introduce me to the standard uke… he also taught me about the Baritone which has given me a good base to tackle the guitar. Phillip’s lessons were great! Starting as an absolute beginner he has taught me so much. Phillip is friendly, encouraging and very knowledgeable about music. Having seen an ad in the paper for uke lessons, I thought I’d check it out. My daughter had been playing the uke but was not progressing well on her own so I wanted to give her the little boost she needed. We have little time to be able to travel to lessons etc so when I saw that Phillip could do them by ‘FaceTime’ I thought I’d call. Phillip suggested that we learn together to help encourage her to play and practise. Looking back, this was the best suggestion! We started with the basics where my daughter felt like the expert of the two of us and we started to play songs, that sounded like songs! I was very impressed and we were having great bonding time too, something we often miss out on with our busy lives. Over 4 lessons we picked up so much and we have learnt enough to continue to play songs together which we really enjoy. I never have to get her to practise anymore, my daughter is picking up her uke every day just to play for ‘fun’. Phillip was great fun to learn with, we had lots of laughs and he was very encouraging, (and forgiving when we sounded terrible! We sound much better now). I would thoroughly recommend Philip’s uke lessons. With the convenience of face to face or over the computer lessons, a great value price, and how much we learnt and improved, we couldn’t be happier. Thanks Phillip. It was an amazing experience learning ukelele lessons from this talented young man . I went in there a few weeks ago a little bit sceptical about the outcome of this tuition with the degree of difficulty for a vision impaired teacher to teach me how to play this instrument . I must say that I was totally amazed by his patience , clear explanation and not once did I feel his impairement . 04 weeks after the lessons i can honestly say that it was an absolute pleasure learning from Phillip and most of all I can play the Ukulele . Yay !!!! You really do cater to all abilities. 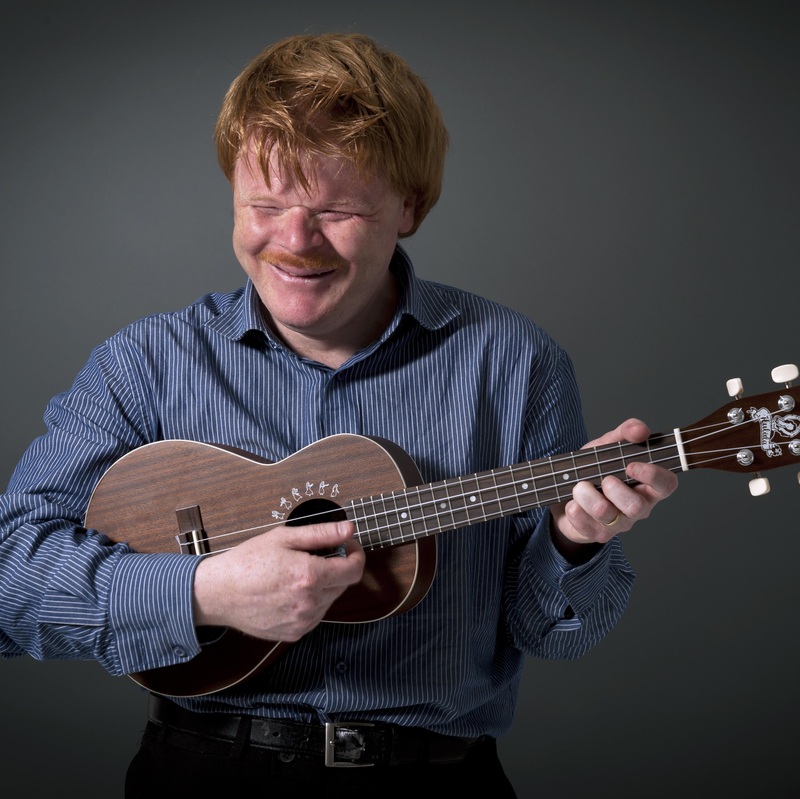 As a more advanced learner I have felt that I have gained a clearer understanding of the ukulele giving me much more confidence in playing whilst keeping it light hearted and fun. I had never touched a ukelele before I found Phillips’ website on the intenet and now after only 4 lessons with Phillip I can play several songs and am now looking to join a beginners group. The lessons are done in an informal setting and at your own pace with Phillip as an enthusiastic teacher. I look forward to returning to Traralgon and having a jam with you in the future.